Krishnan has over 25 years of varied industry experience spanning steel, automotive, FMCG and business consulting. His functional expertise includes operations excellence, supply chain, strategy development and execution as well as product development. Prior to consulting he has worked for more than a decade at organizations such as Ford, Castrol/BP, Ashok Leyland and Jindal. In his consulting career, he has worked with both MNC’s, such as FLSmidth, Novozymes, Odense Steel shipyard, Castrol, as well as Indian companies such as TAFE, Kansai Nerolac paints, TVS group, Ramco Industries, HNGI, Murugappa Group, Maini group etc. 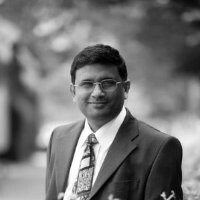 Krishnan works with organizations in managing business transformation, managing Innovation, establishing a robust break through thinking environment and process and aligning the organization to customer centricity, while maintaining efficiency.